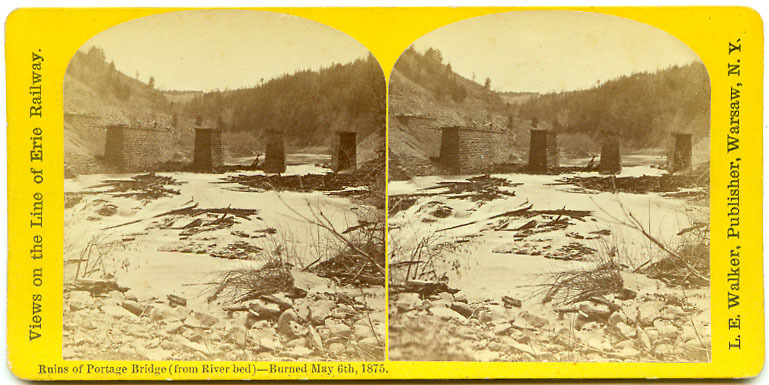 This historical view shows the aftermath of the great fire which destroyed the Portage Wooden High Bridge in May of 1875. All that remains are the stone piers and the charred debris visible in the river bed. An enlarged version of the image is found below. 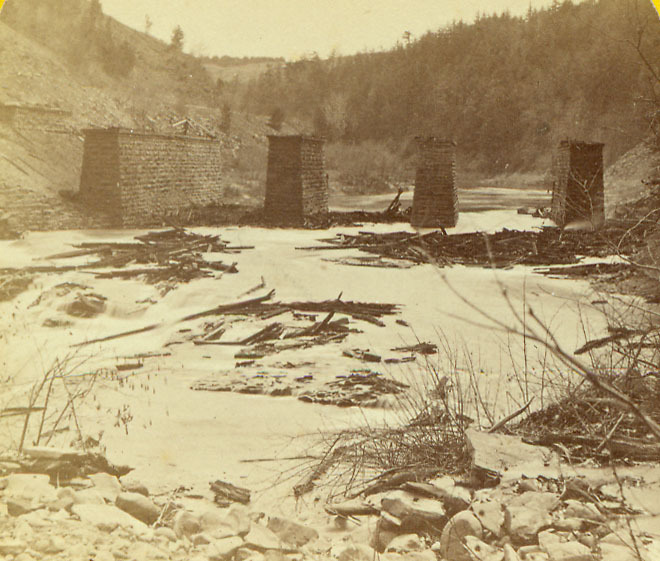 For more information see Glimpse of the Portage High Bridge. and the Burning of the Portage Bridge.